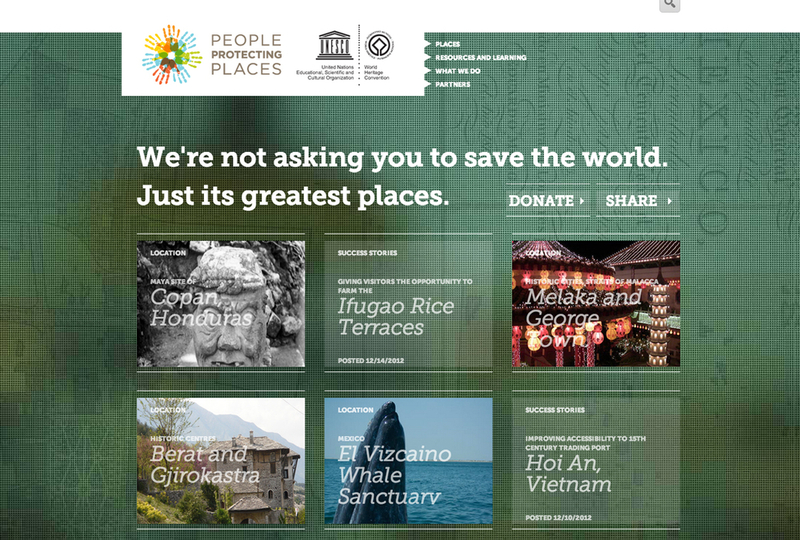 People Protecting Places is the consumer-facing identity of UNESCO’S World Heritage Center (WHC), a subsidiary of The United Nations focused on preserving natural and cultural resources around the world. 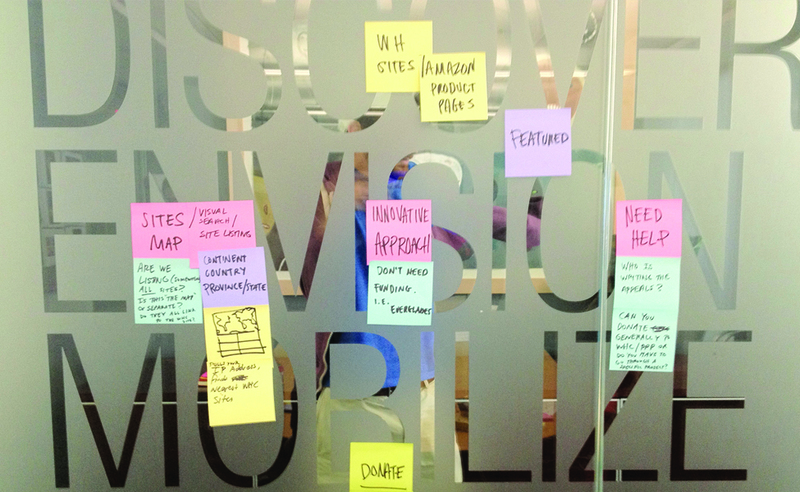 Their team in Paris asked us to translate their archive of existing content into an easily consumable and sharable experience for the average user. 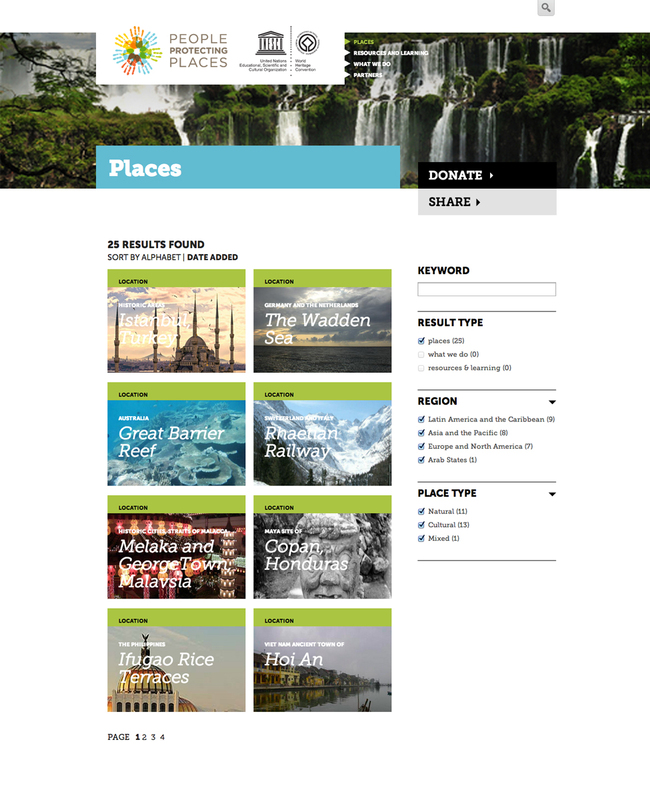 In turn UNESCO hoped to increase their donations used to protect sites around the world. in learning more about the world’s most valuable places. We looked to product-driven websites like Amazon and Zappos, understanding that each WHC detail page was like a product detail page on popular e-commerce sites that visit each day. The filtered search mechanisms of e-commerce sites also made sense when attempting to provide users with the affordance to organize a large set of WHC sites by any number of filtering options. E-commerce product pages also proved to be a valuable metaphor in our designs for individual site pages. At first it may seem odd to draw comparisons between a deteriorating cultural landmark and an item you can purchase online with one click. However, we recognized that WHC’s archive of sites was its inventory, and it was our job to sell their stories to consumers. In the end we delivered an experience that curated the best of what WHC had to offer, in an easily consumable and actionable format.